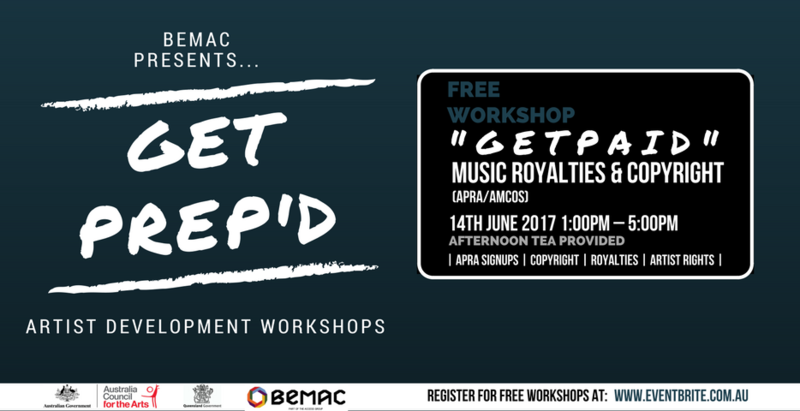 The first of the four free workshops to be delivered under BEMAC’s Get Prep’d Artist Development Program is GET PAID. It will be delivered in partnership by our friends at APRA/AMCOS and will provide insight into artist royalty rights, copyright law, the services APRA offers artists, as well as a look at the different bodies in Australia that provide financial and support-based services for artists. The GET PAID Workshop will be facilitated by APRA AMCOS‘ Andrew Tuttle. Andrew is a musician, promoter, writer and arts administrator and works for APRA AMCOS as a Writer Services Representative. His career includes experience in executive, programming, production, and arts administrative roles for organisations including Sound Summit, New Weird Australia, QPAC, Brisbane Festival, Straight Out Of Brisbane, and Mistletone Records and Touring. Andrew is also the sole director of Micronations, a touring and events company that has presented national tours and single events for musicians and bands from Australasia, Asia, North America, and Europe. Through Micronations, Andrew has additionally provided music programming services for Brisbane Festival, Room40, Audiopollen Social Club, and other organisations. 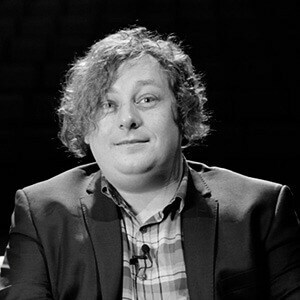 Using experience gained through working in an executive role with not-for-profit arts organisations including Sound Summit (Festival Co-Director) and New Weird Australia (Co-Director) and as a recording and touring musician, Andrew established a freelance grant writing service for musicians, artists, and arts organisations in 2011. Registration is essential. Secure your spot today at Eventbrite. * In 2017, BEMAC is delivering four FREE Professional Development Workshops aimed at providing local artists with opportunities to up-skill in various areas of the creative arts industry. These workshops are part of BEMAC’s Get Prep’d Artist Development Program, which seeks to support and nurture multicultural artists residing in Queensland.